Bottom line you must be here because you appreciate our jobs as a trucker or you just know how tough life as a trucker is and you want to give us your support. Maybe your just interested in learning about trucking because you know someone who is thinking about choosing a trucker's life.It doesn't matter, you are welcome here. If is people like you who is our connection to other non truckers that don't understand a thing about truckers and assume the worst. Please Create a profile and tell about yourself, why do you sympathize with us truckers. Why are you interested. How did you come to understand how important trucking is. Also what do you see that we as truckers can do differently in our travels so that we are view differently and treated differently by four wheelers on the high and off. Also let other people know about this site so that they all truckers are not the type of people who they think we are. The people here are smart enough to research trucking before becoming drivers. 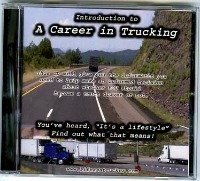 The Truck drivers here care enough about the industry and other people to contribute to the site and educate future truckers so that they are successful and happy. Truckers Wives are helping giving advice to each other and even giving the men insight if they want it to help their relationships. Drivers are giving interviews, doing interviews and blogging about every aspect of trucking to give insight on what a truckers life is all about. 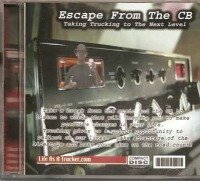 Educating, entertaining, motivating and inspiring is what we are doing online and off the change the face of the trucking industry and we appreciate you here to help us make that change. So please let other four wheeler know they come here to find out the real deal about truckers. The news stories of bad big truck drivers represent lest than one percent of us. The rest of us (over a million) are good big truck drivers just trying to make things better for our country, our families, and some of us,just our souls. It's a sacrifice but someone's got to do it. Boy, I got carried away didn't I!?! Tell us about yourself and why you are a trucker's friend in the first place. Did you grow up around trucks, or were you always just fascinated about trucks as a child and it never really left you. My boyfriend is a trucker,to get advice.